Located between Kos and Rhodes, it offers genuine hospitality, a paradise for hikers, wild mountains and raw natural beauty. A tiny island in the Dodecanese, Tilos promises secluded beaches, small villages and a refreshing escape from mass tourism. With only around 700 permanent residents, it cannot but be laid back and charming. 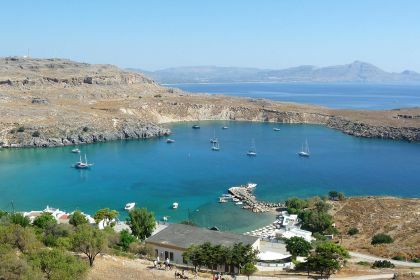 Tilos’s main attraction is Mikro Horio, an abandoned medieval settlement. Make sure you visit after dark, when it is particularly eerie. During the summer, one of the houses is turned into a bar that runs late into the night. Linger until the light fades and then indulge in some music and drinks. The island may only be 61km square but there are 100 bird species, some of them rare, and 400 plant species. Tilos is truly host to extraordinary natural diversity. Get into the mountains or just walk along a beach and you are sure to see some of the marvelous fauna and flora. The island’s beach highlight is Eristos, where rocky terrain shifts into a fertile flatland, merging into a beautiful sandy beach. There is not much in terms of infrastructure here but you will find yourself enjoying total isolation and privacy. Cruising around the island in your luxury yacht, you are guaranteed to find some remote coves and beaches with plenty of opportunities for first-class swimming and snorkeling. There are interesting geological strata to observe if you venture into the mountains to visit the ruins of the Medieval Castle of Tilos, built by the Knights of Saint John. Of course the views are also spectacular. 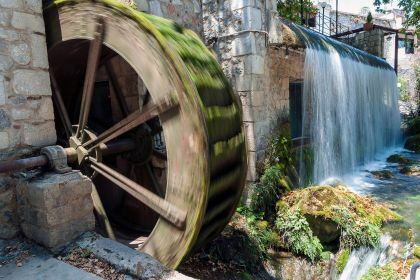 Make sure you don’t miss the Agios Pandeleimonas Monastery, with its church set in the bedrock and a natural spring gurgling fresh water on the premises. Look out for the imposing cypress trees and well-preserved frescoes. 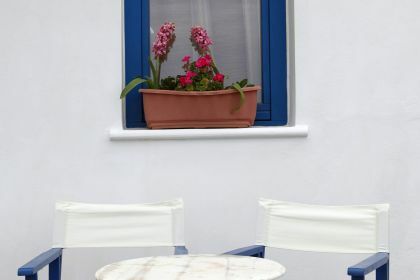 Tilos may be small but this does not mean you will miss out on a memorable traditional meal. There is a large and varied selection of diverse restaurants, serving local, organic fare and phenomenal seafood. 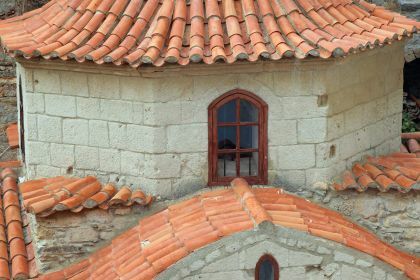 An unmissable spot in the capital, Megalo Horio, is Kastro Café. Try their finger-licking spit-roasted meats and small shrimps. Other recommended options include Filoxenia Restaurant Omonoia Cafe, Gorgona Ouzerie and Taverna Nikos. Insider tip Peculiarly enough, Tilos used to be home to dwarf or pygmy elephants (Greek scientists discovered their remains in the early 1970s). When you are in Megalo Horio, don’t miss the small museum (just one room) to learn more about these fascinating prehistoric creatures.